Machine Head drummer Dave McClain has admitted the band came within moments of splitting up after a show in Paris on their three-year world tour. 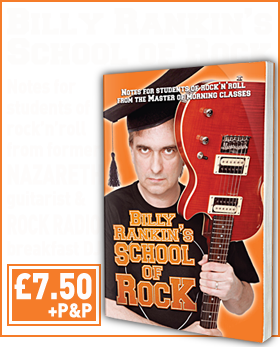 It confirms long-standing rumours of tension within the outfit as they supported their 2007 album The Blackening with a trek which was continually extended due to popular demand. McClain says relations between frontman Robb Flynn and bassist Adam Duce disintegrated almost entirely. The drummer tells MetalKaoz: “We did not know the tour would stretch out for that long. The album snowballed into a big thing, something that all bands hope for, so we didn’t think it would be or cause a problem. “There was one time in particular in Paris during the Slipknot tour. Robb and Adam had some pretty serious problems and after we got off stage that night, Robb was ready to call it a day and just end everything right there. 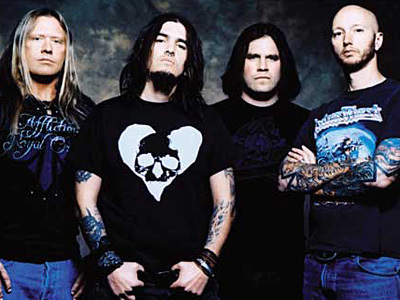 Although Machine Head filmed a number of shows with a view to releasing a Blackening live DVD, McClain says it may never happen because, after the three-year experience, they were keen to move onto 2011 release Unto the Locust. “We kind of left all the DVD plans behind us,” he explains. “I’m not sure whether it will come out in the future. We had come to a point that we needed to work on music making. whoa, cool that they are still alive! one of the best bands ever, every album is awesome in its own way!